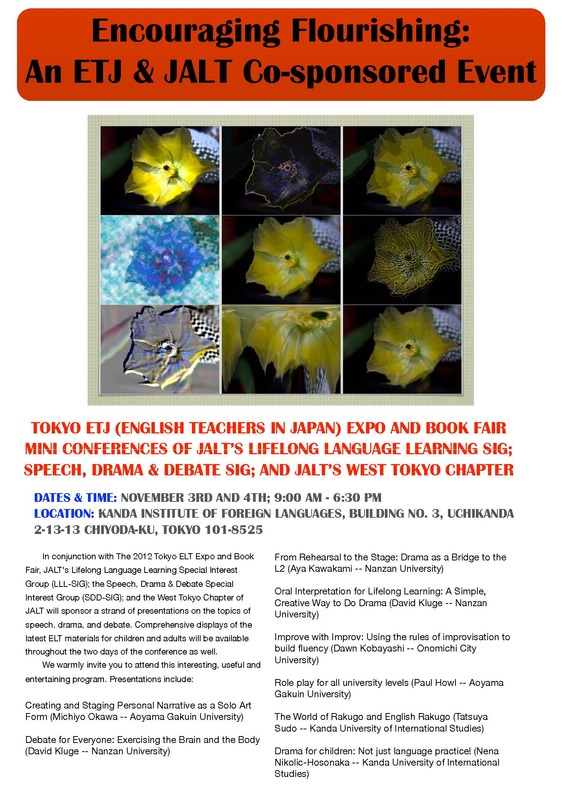 The Lifelong Language Learning SIG (special interest group) of JALT will hold its mini-conference for teachers on November 3rd and 4th, 2012. 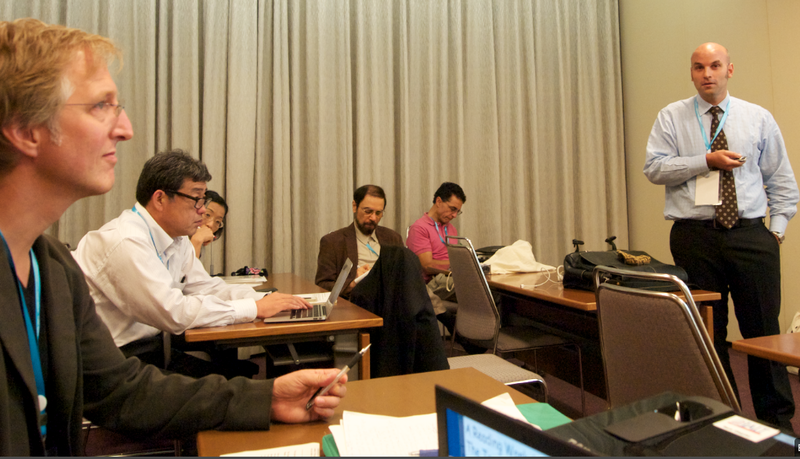 It will be held with the cooperation of the Speech, Drama, and Debate SIG and the English Teachers in Japan (ETJ). This event will be of interest to graduate students who intend to become teachers as well as currently practicing teachers. Please see the attached flier (PDF) for details of the speech, drama, and debate-related presentations. This entry was posted in Outside Events and tagged conference, debate, drama, JALT, speech, teaching, TESOL. Bookmark the permalink.